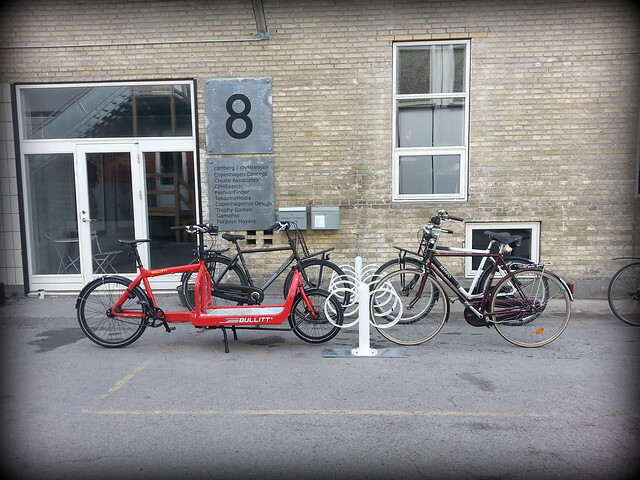 We recently moved in our new offices on Paper Island (Papirøen) on the harbour in Copenhagen. A fantastic place to work, populated by wonderful, creative people. There was one little detail missing. You can't very well be a fancy, blah blah blah urban design company like Copenhagenize Design Co. and NOT have bicycle parking outside your offices. It was wrong, so very wrong. What to do? 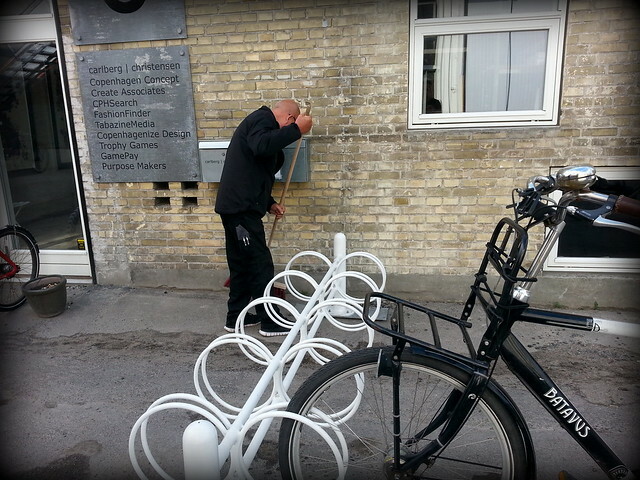 Ole, from Purpose Makers and Cycling Without Age / Cykling uden alder, lending a hand. Simple really. You call Veksø. 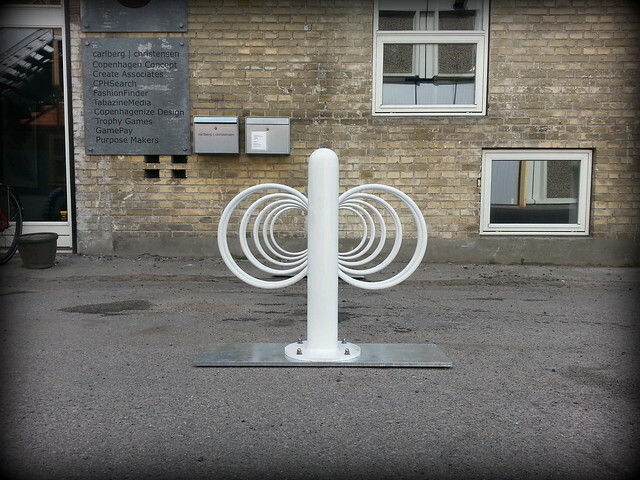 A legendary Danish company that started in the 1950s, producing bike racks for the Danish schools. A company that has made literally hundreds of thousands of bike racks over more than 60 years. Then they branched out into other urban furniture like covered racks and busstops, digital bike counters, footrests like the ones in Copenhagen, air pumps and tilted garbage cans for cyclists. All of it in the kind of aesthetic design you'd expect from a Danish company with the slogan "Enriching Urban Life". If you stood on a random, busy street in Copenhagen and removed the Veksø products, you'd be hard-pressed to find your busstop, throw away your rubbish or park your bicycle. Testing the racks out and finding the right placement width. 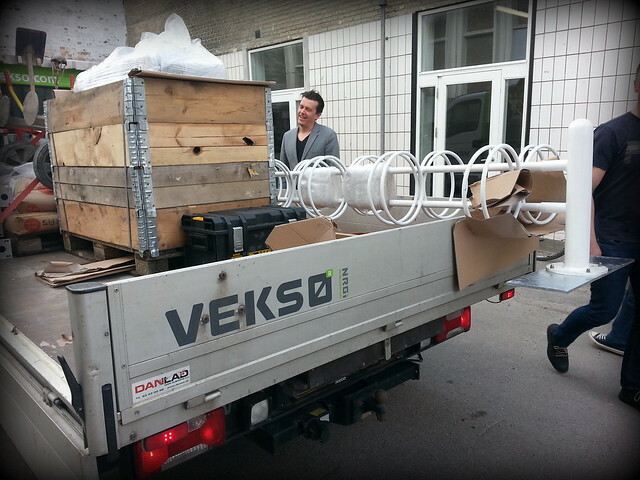 Veksø came all the way from Jutland - Fredericia - to deliver our racks. Thanks! We put the racks where people were parking their bikes anyway. Right by the entrance. Useless to place them anywhere else. 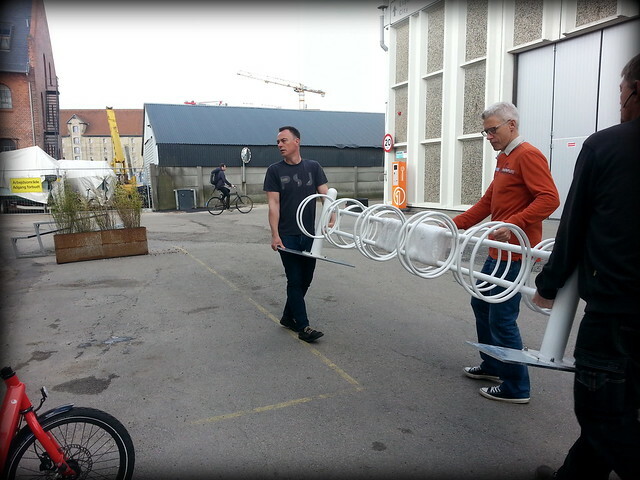 Paper Island's "Mr Clean" came past when we were placing the racks. He grabbed a broom and said, spontaneously, "shouldn't I sweep now that it looks so nice?" Yes, please and thank you! 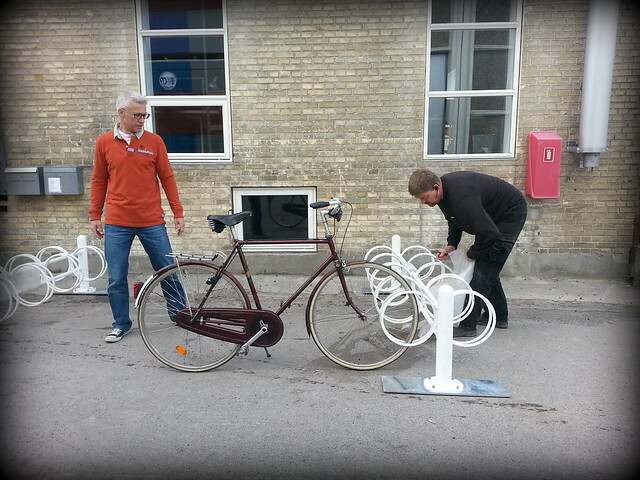 And thanks to Veksø for helping us bling up our parking.